I'm not quite sure how to describe it beyond what the holder says. So, are these things commonly reproduced? I assume it's debased silver but have never opened it up. 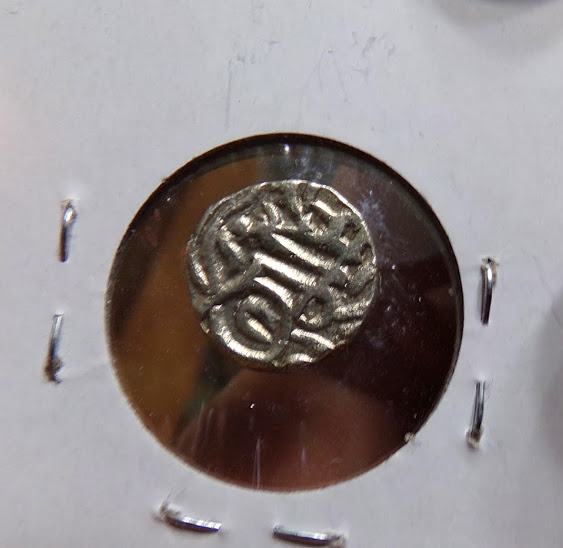 Re: Billon, India, 800 C.E.? 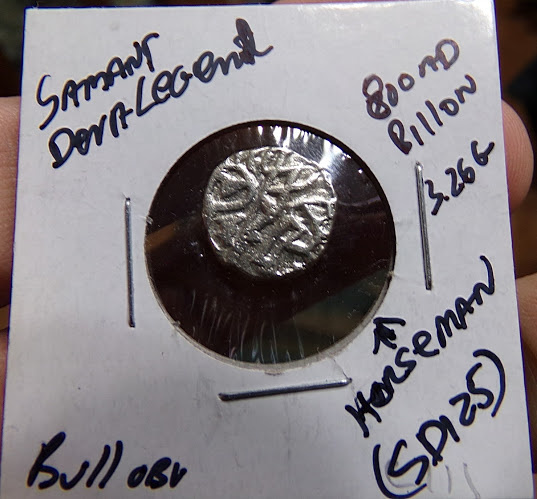 It's a Bull and Horseman jital, made by many kingdoms for many centuries before, during, and a little after the Islamic conquest of most of India. The only dedicated resource is "Jitals" by Robert Tye; he has made the plates free to download for easy reference. I don't see enough of a legend to allow an attribution beyond "late anonymous type". Not sure of silver purity, but genuine examples are worth only a couple dollars, so I don't doubt its authenticity. They are very common coins!